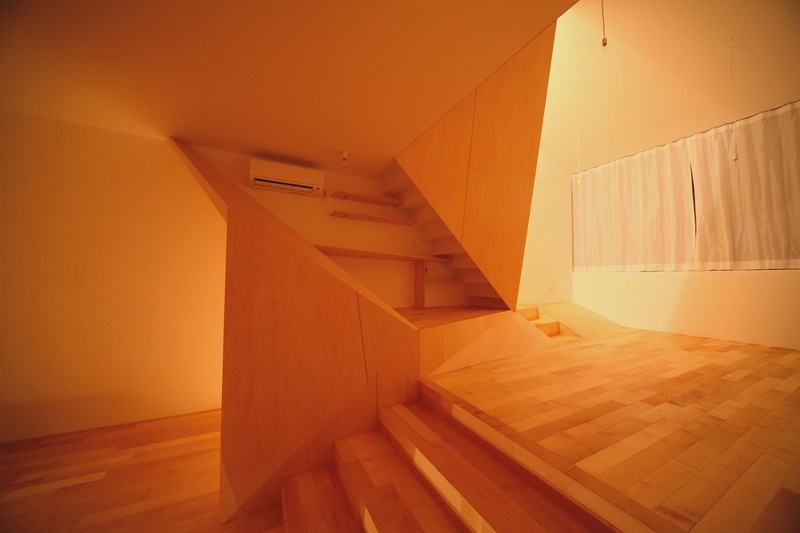 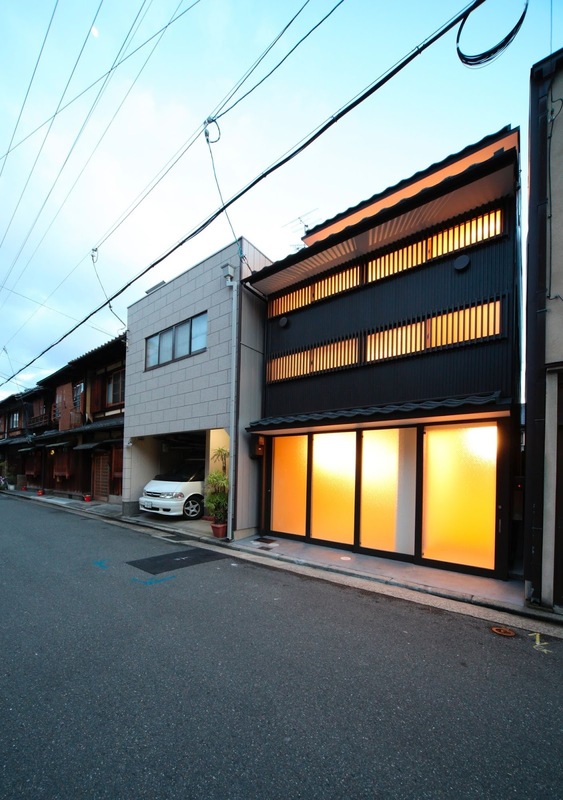 This is a residential house located on a narrow site in the centre of Kyoto, the old capital of Japan. 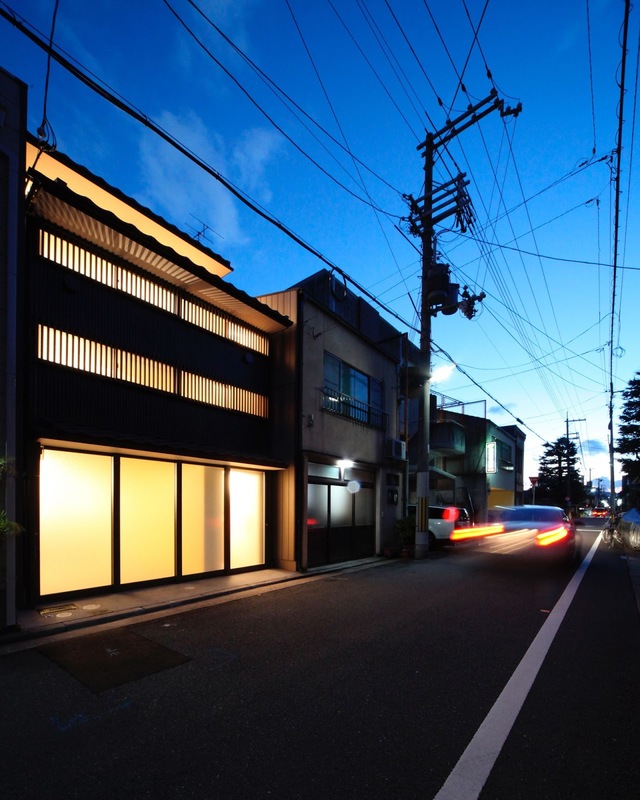 The area is lined with traditional wooden townhouses. 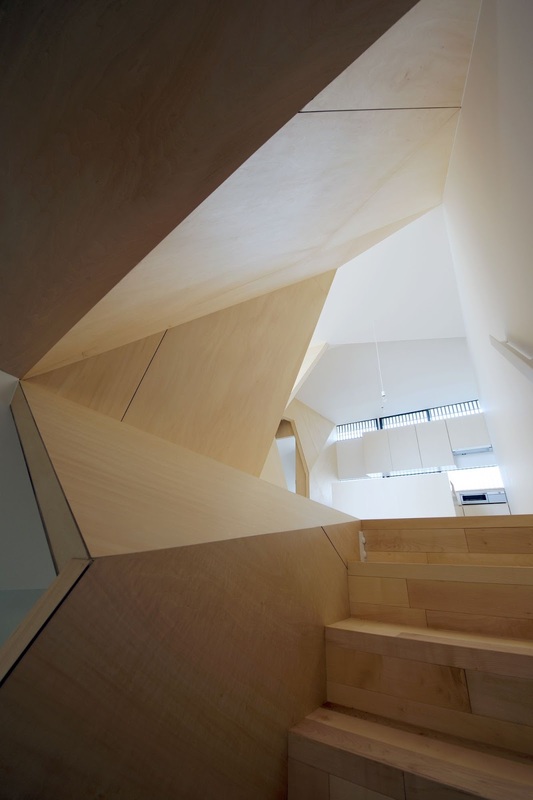 While inheriting the advantages of townhouses, we intended to overcome their drawbacks and create a comfortable and enjoyable space. 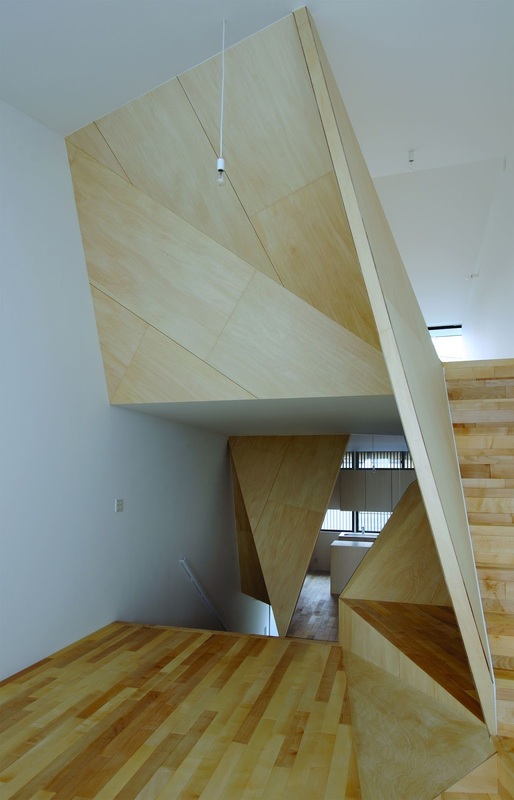 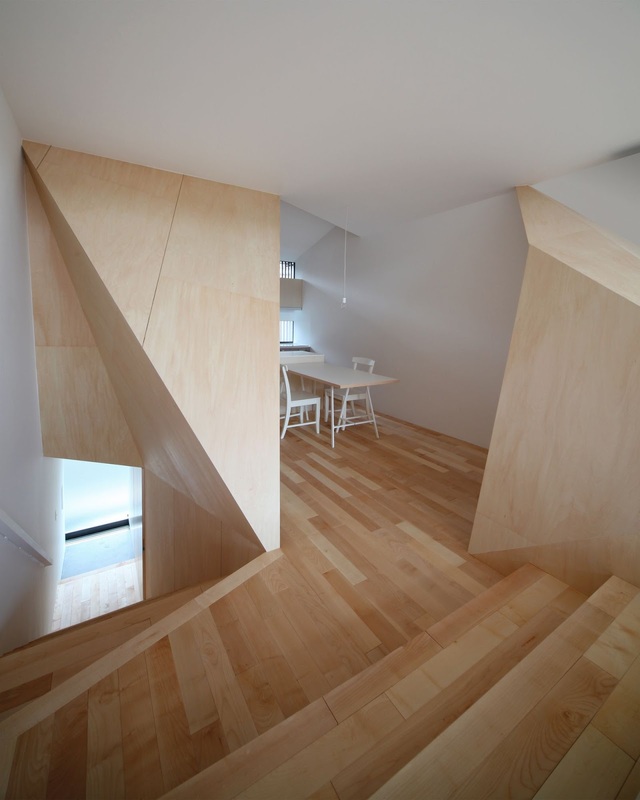 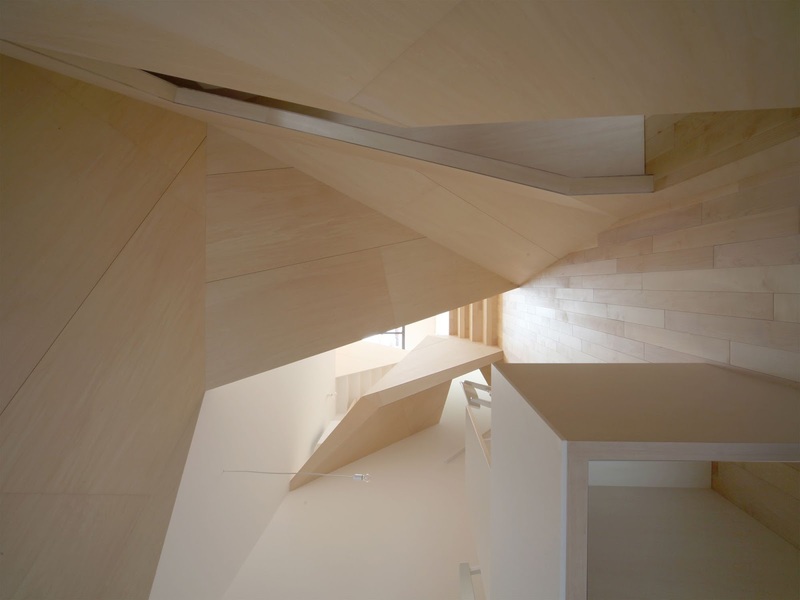 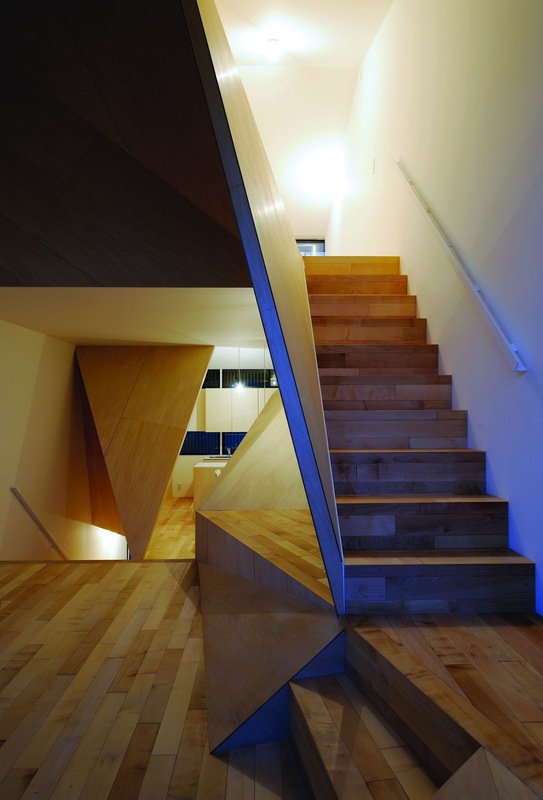 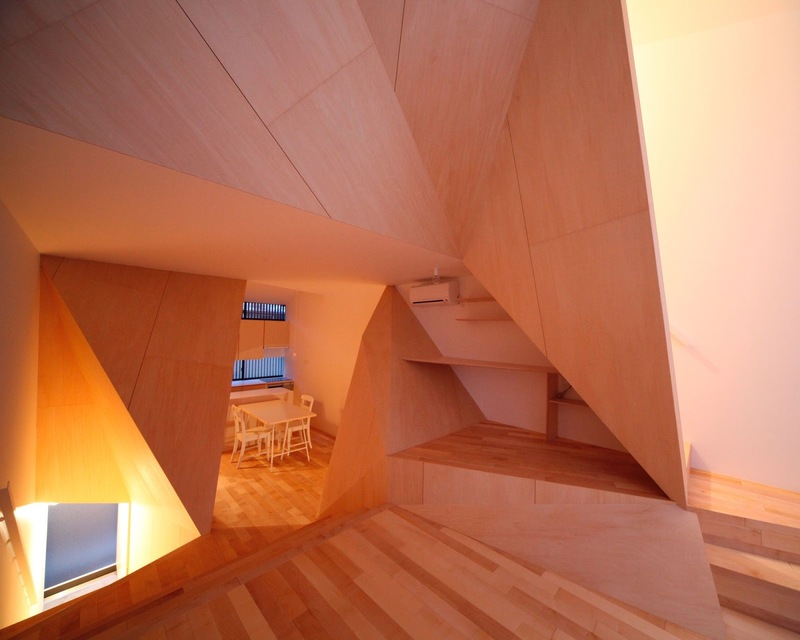 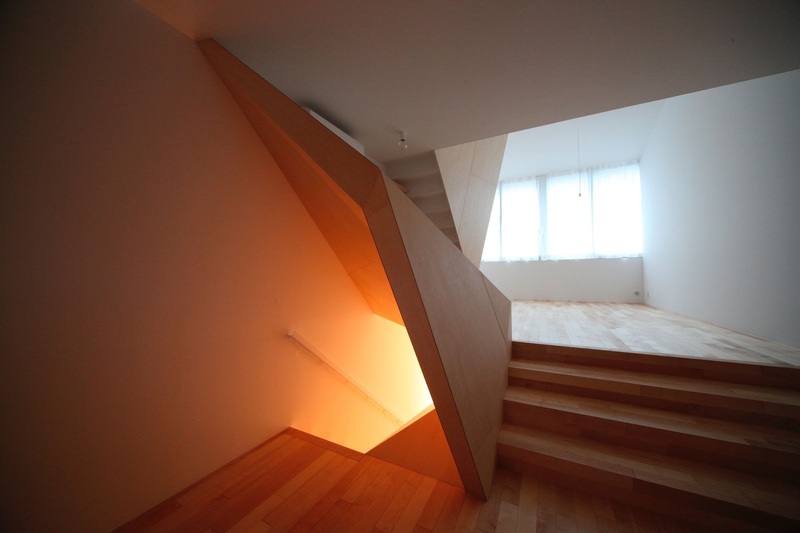 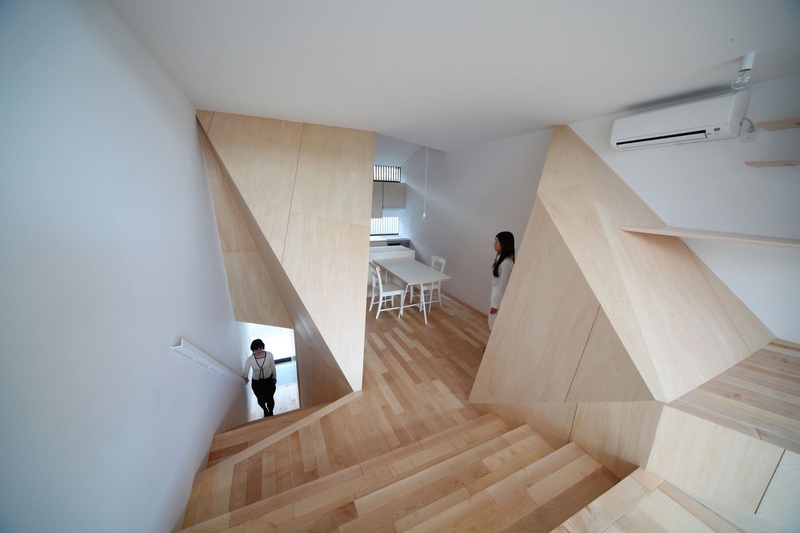 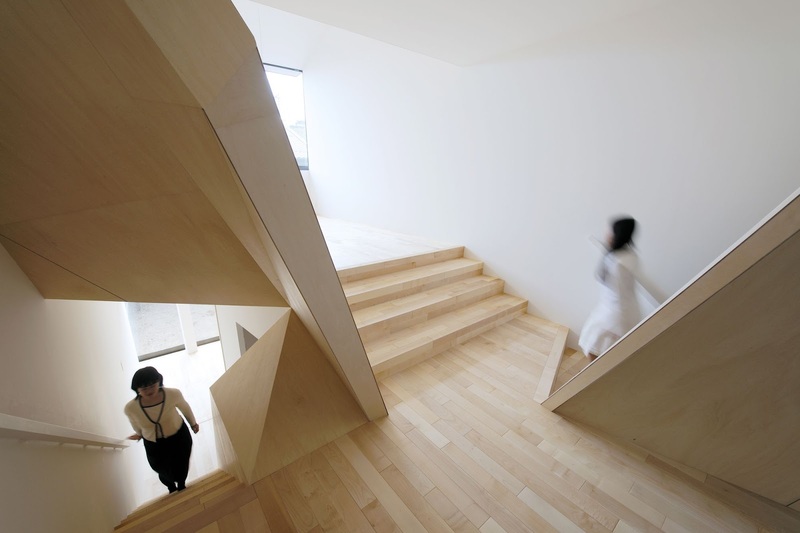 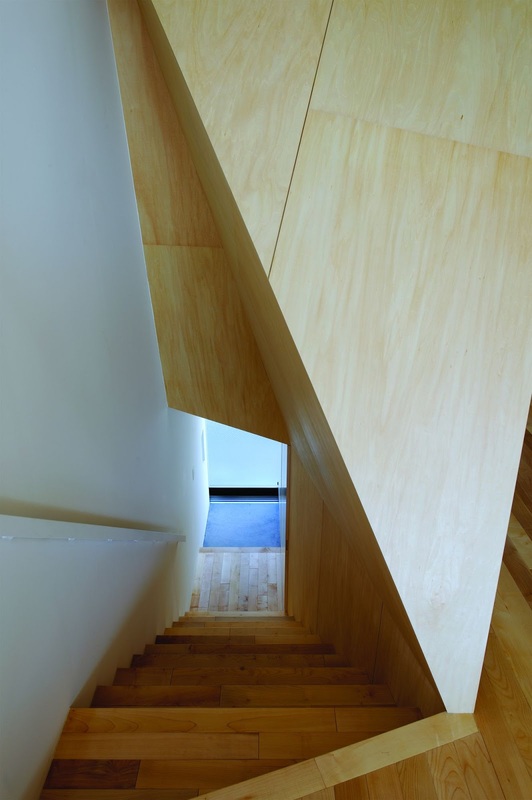 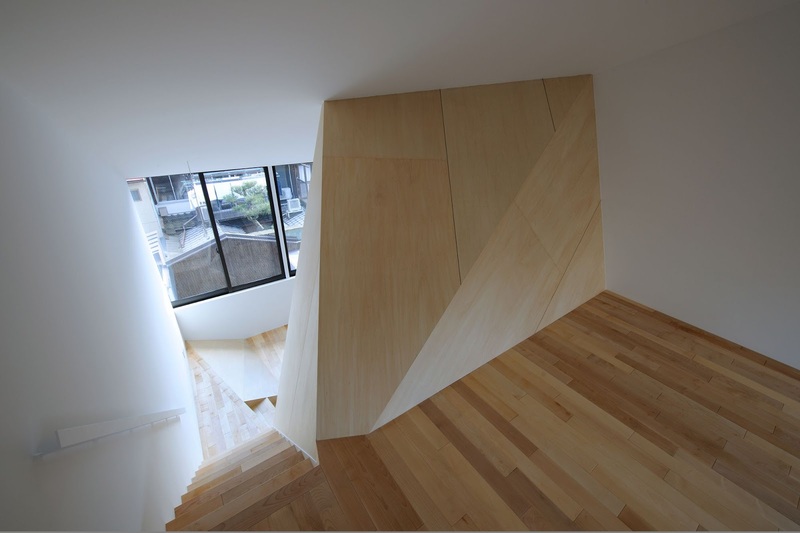 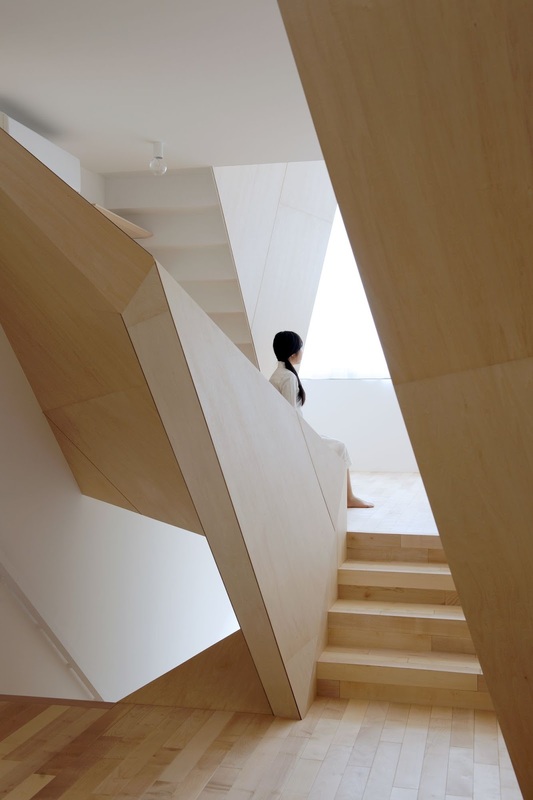 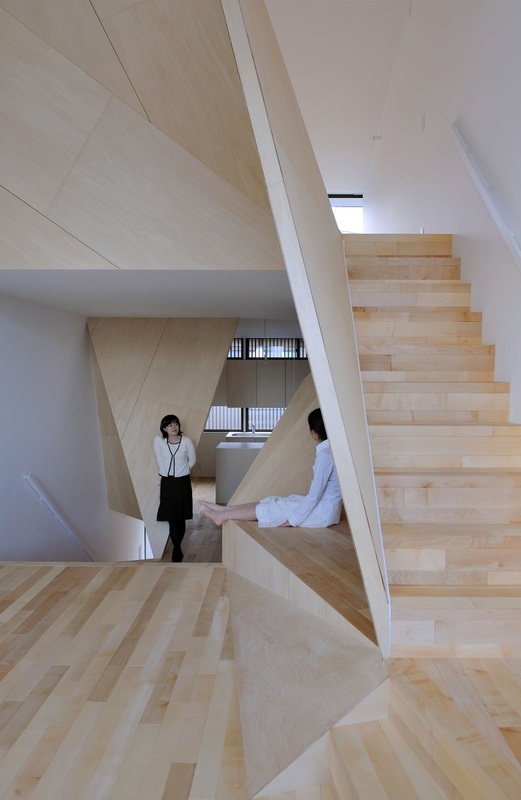 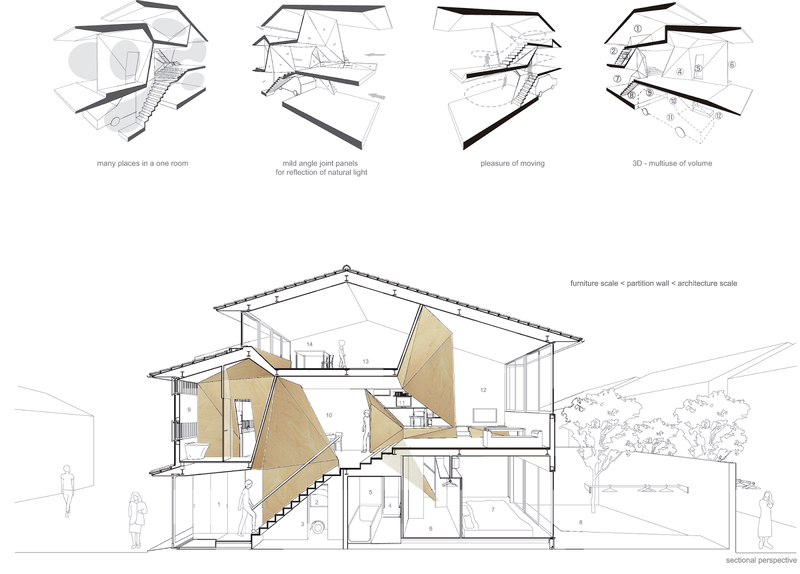 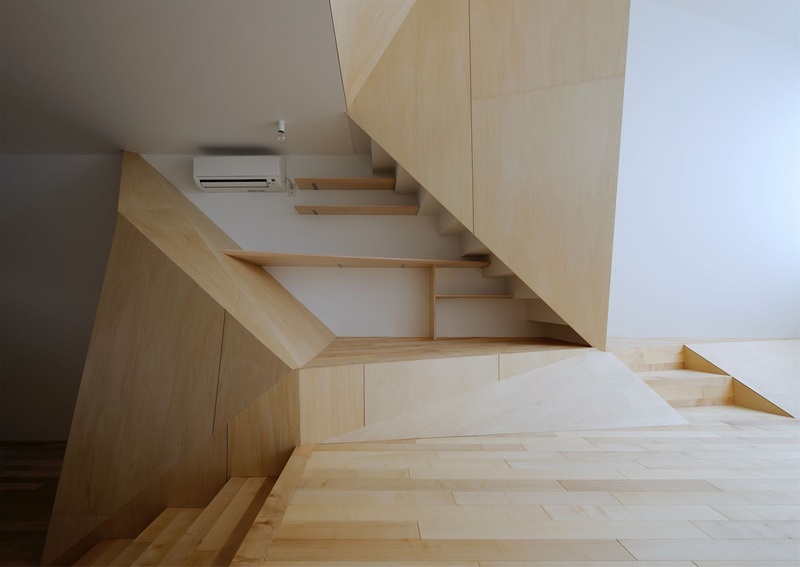 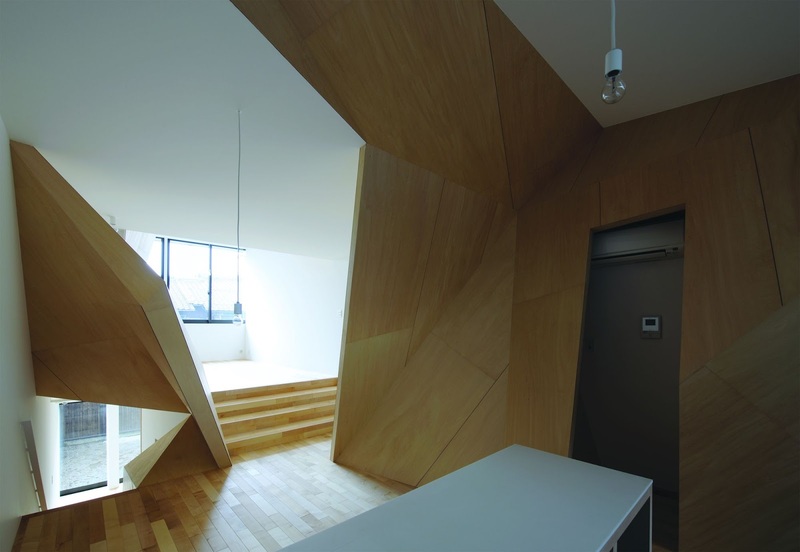 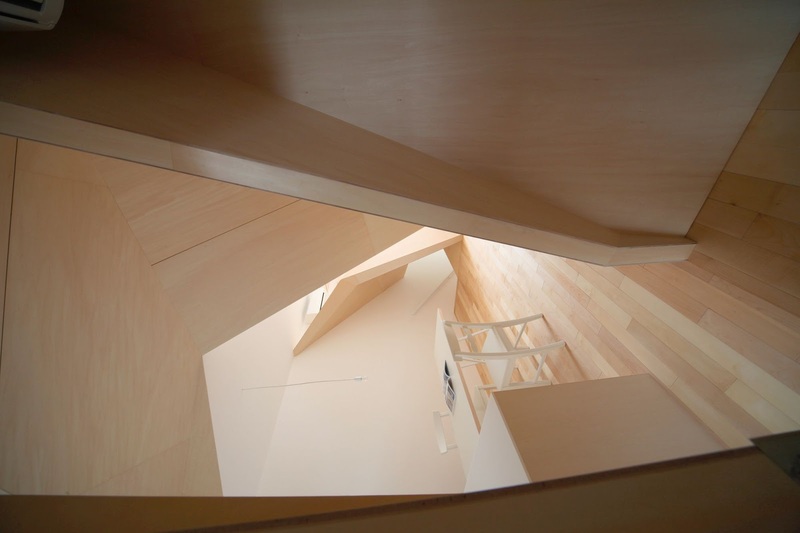 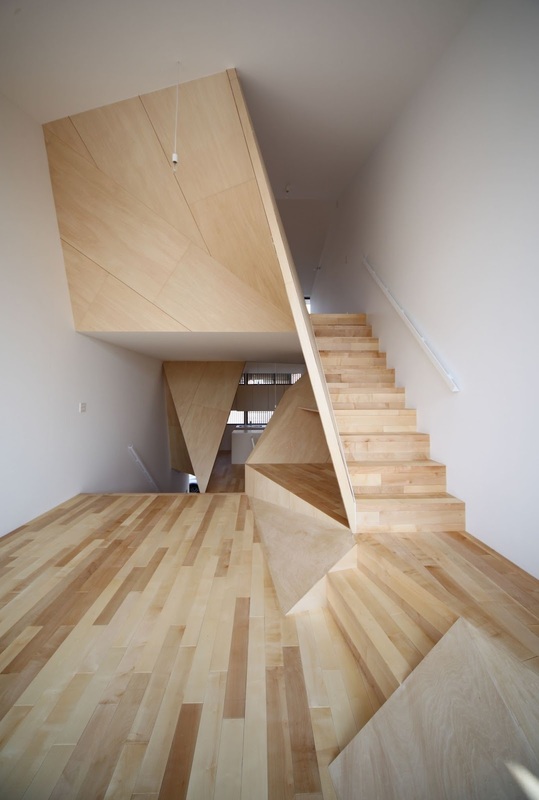 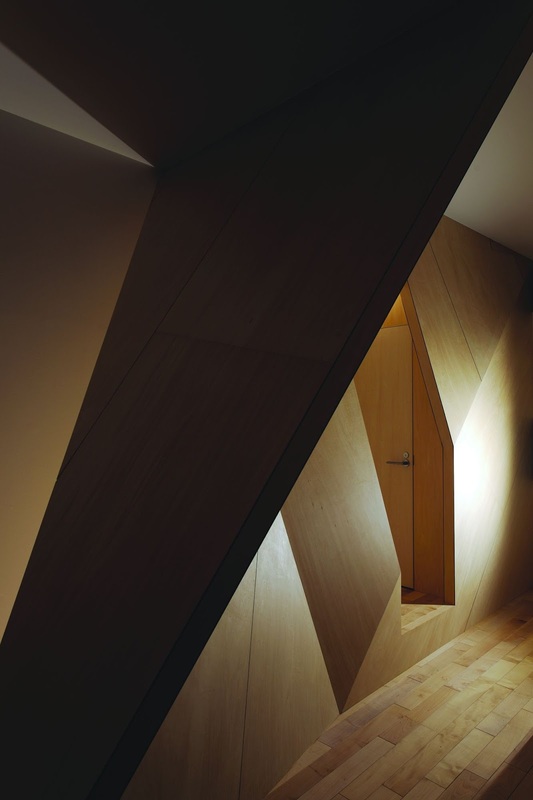 The most characteristic feature of this house is the polyhedral form of the partition walls. 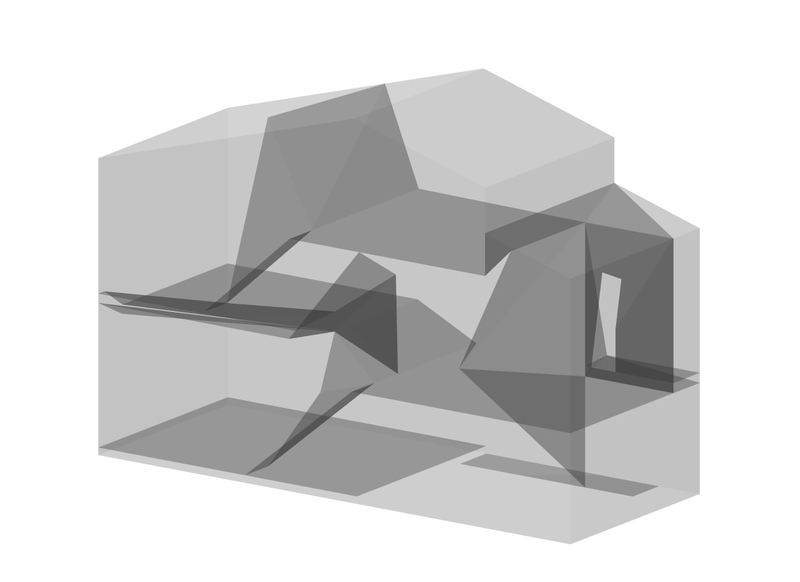 They are not made by intuition but are based on logical concepts and perform multiple functions. 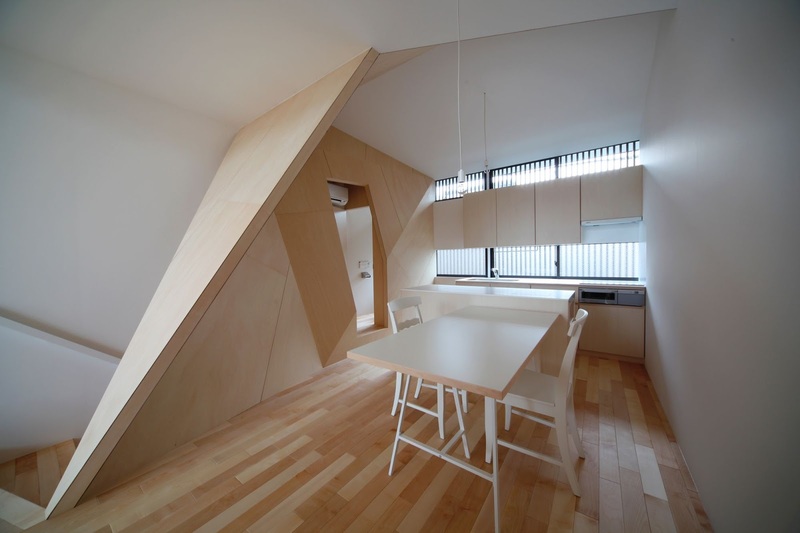 First, the partition walls, normally extended in the vertical and horizontal directions, have multidimensionality and loosely connect the rooms on the three floors. 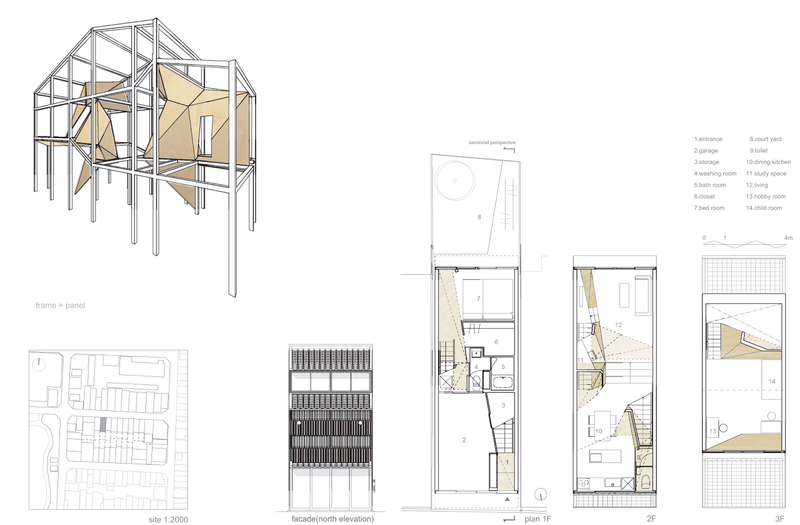 The space thus created is one continuous room with dynamic nuances: it is simultaneously spacious and heterogeneous. 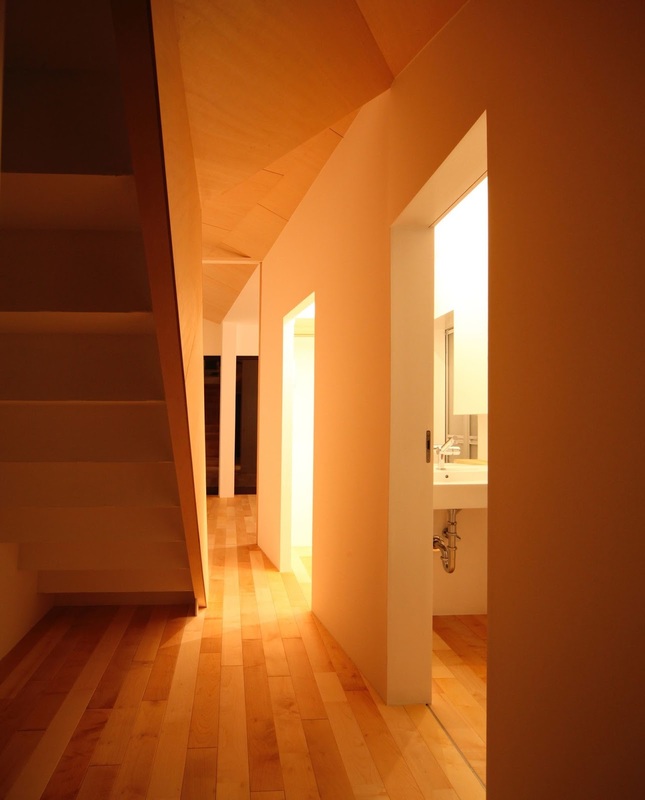 Second, the partition walls serve as reflectors of natural light. 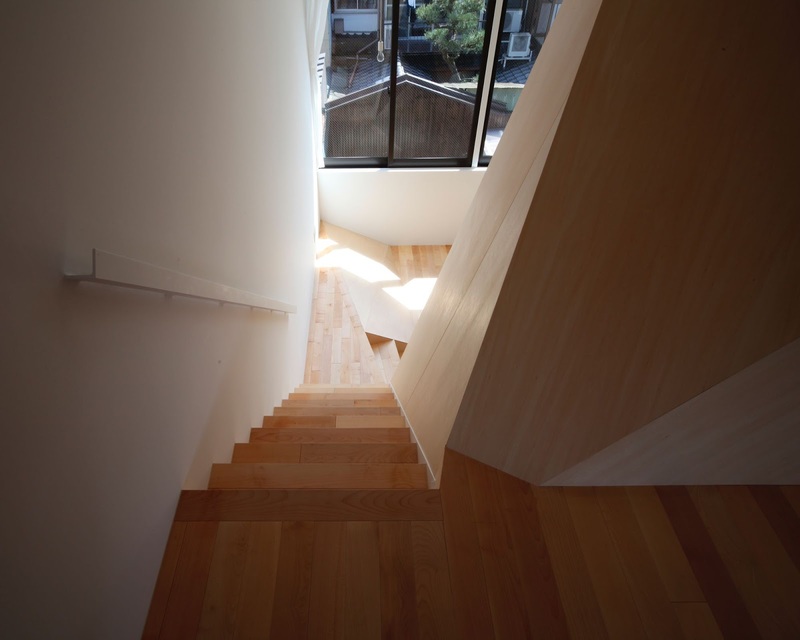 They softly reflect the natural light coming from both the north and south sides and bring it to the otherwise dark interior of the building. 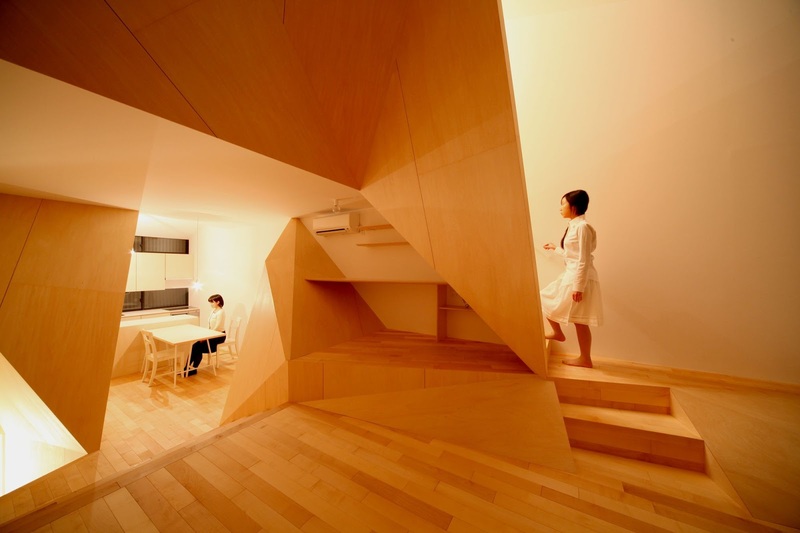 Finally, the partition walls blur the boundary between architecture and furniture, thus stimulating perception and behaviour. 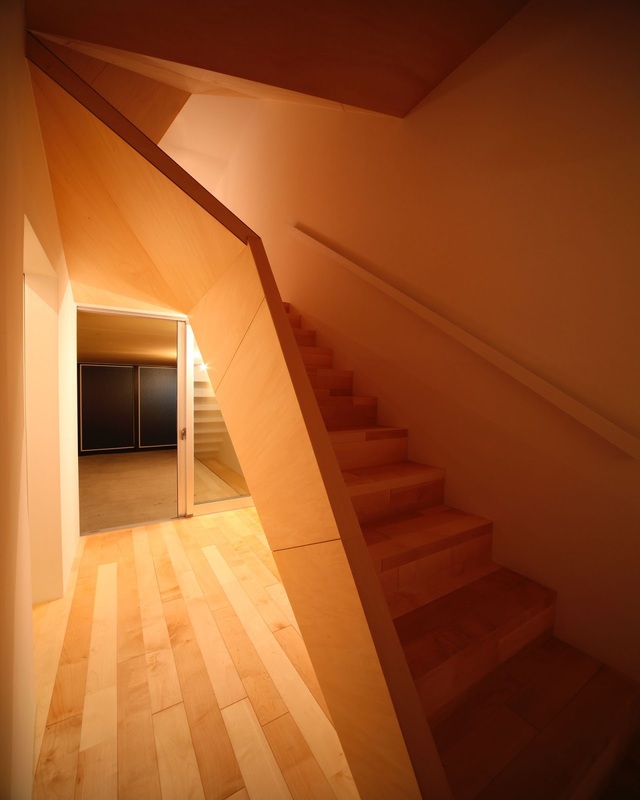 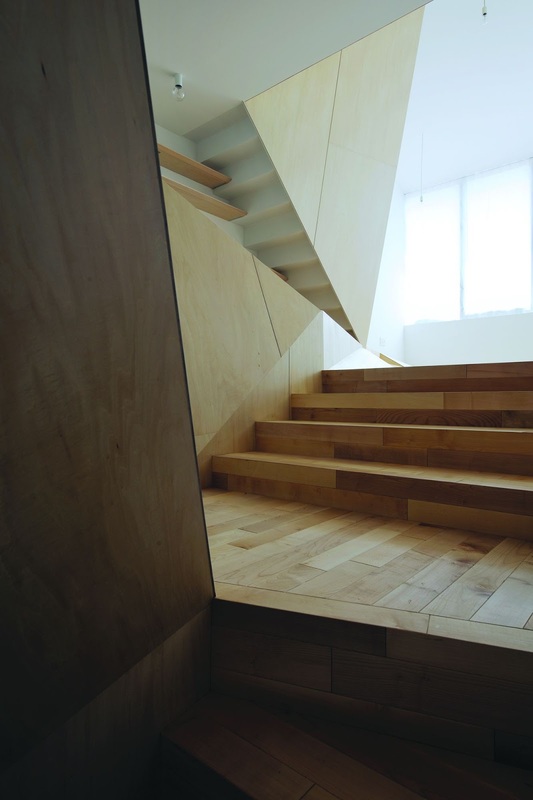 Melt into floors and ceilings, the plywood-finished walls offer enjoyable experiences of touching and passing. 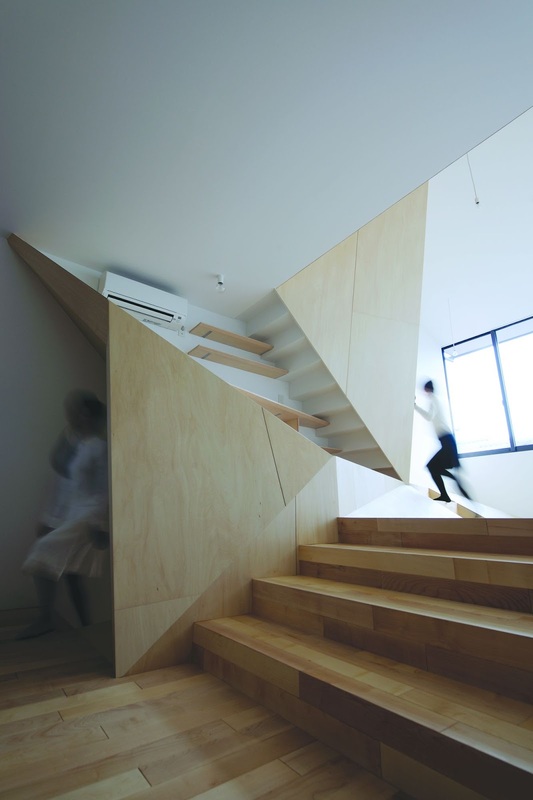 The house as a whole is a machine for living, like playground equipment. 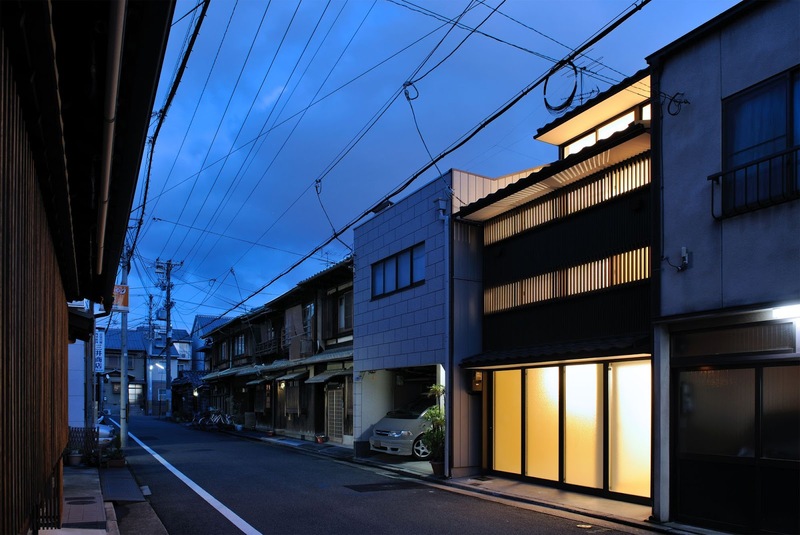 Because of the landscape regulations and the physical context of the neighbourhood, we inherited the traditional form and composition of townhouses.